Companies want to upgrade their IT, but face hurdles in doing so. For small businesses that receive an influx of funding from venture capital investors or other sources such as Small Business Administration loans, actually getting the money is akin to a dog catching the car. The question is: What happens next? Technology investments can help businesses improve their operations and support growth. Yet which IT investments take priority over others? 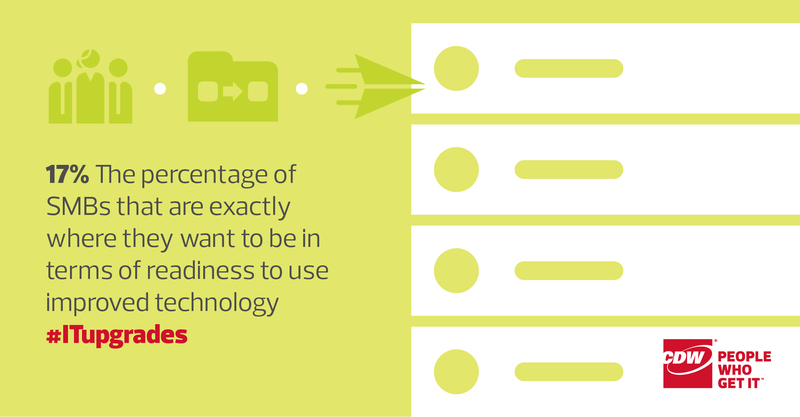 And how can SMBs update their IT in a way that is comprehensive but won’t overburden the firm? Some key technologies they are investing in include converged infrastructure and cloud storage. 1. 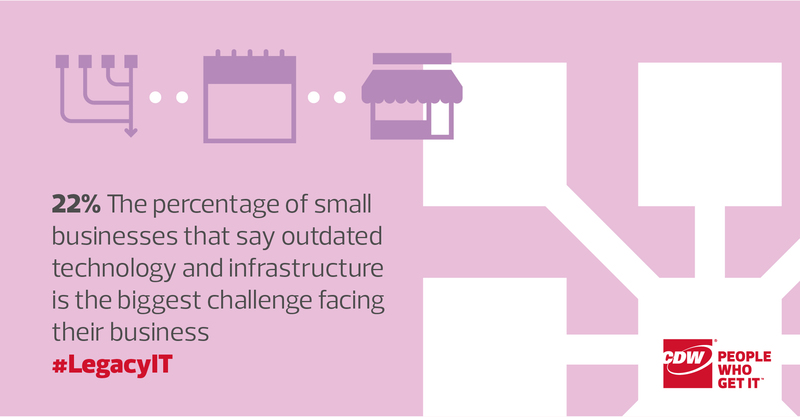 What are the major challenges facing small businesses? SOURCE: Wasp Barcode, "2015 State of Small Business Report"
Wasp Barcode Technologies conducted a survey and found that dealing with legacy IT systems was a key concern for small businesses. Updating older IT and infrastructure was a higher priority than raising capital, launching new products and managing inventory, among other matters. Upgrading outdated IT can improve business efficiency and help small businesses gain a competitive edge. Is your small business IT strategy built for growth? 2. How ready are SMBs for an improvement in their use of technology? Many small businesses might want to upgrade their IT, but not all are ready for such improvements, according to a study by CompTIA, a nonprofit IT trade association. That might reflect a lack of resources or training. In fact, 47 percent of SMBs said they were moderately close or not close at all in terms of readiness to use improved technology. 3. 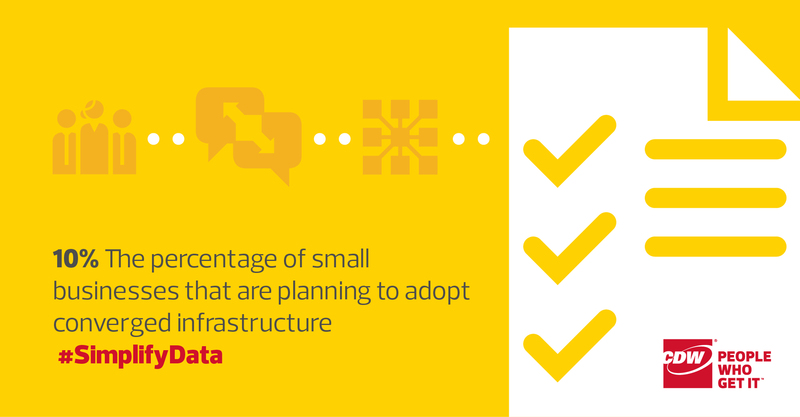 To what extent are SMBs adopting converged infrastructure? Some small businesses have become trailblazers, embracing converged infrastructure (CI) as a way to simplify their data center architectures. CI lets companies reduce compatibility issues among servers, storage systems and network infrastructure while simultaneously cutting costs for cabling, cooling and power. In some cases, CI can be adopted as a bundle of IT components assembled and certified to work together by the various vendors. Businesses can also adopt CI as a reference architecture, offering IT staff members or system integrators a plan to piece together their own converged systems. 4. How popular is cloud storage among SMBs? A majority of SMBs have embraced cloud storage – increasingly adopting this type of solution over the last five years – according to a survey by Clutch, a business management consultancy. The survey found SMBs think cloud storage makes daily tasks more efficient and opens communication further, is generally a more accepted business practice and that the benefits of using cloud storage become more apparent as more businesses use it.